For too long, many consumers have been taking out broadband deals but getting speeds much slower than were advertised to them. But our latest research shows that’s now changing. Previously, suppliers were able to advertise broadband deals which claimed ‘up to’ speeds that only one in 10 customers would ever reach. 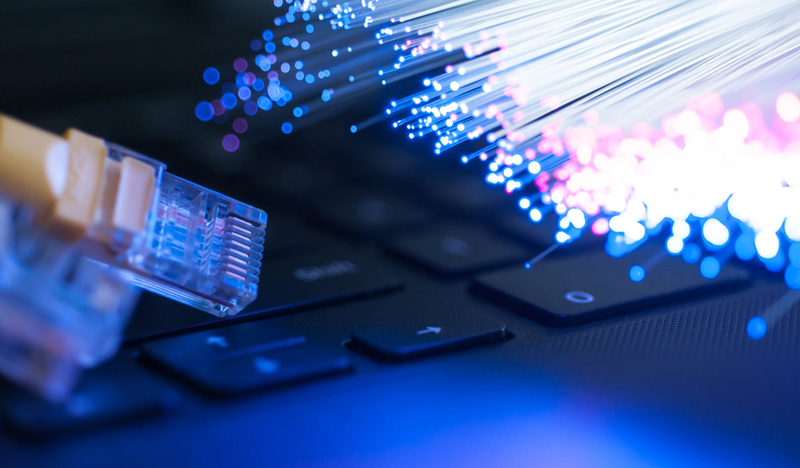 But after our sustained campaigning, pressure from our supporters and rule changes from the Advertising Standards Agency (ASA) in May, some suppliers have now reduced advertised broadband speeds by as much as 41%. The new advertising rules mean that at least half of customers must now be able to get an advertised average speed, even during peak times (8-10pm). We’d been calling for these vital new guidelines to be introduced since 2013 through our Broadband Speed Guaranteed campaign. We’ve now found that 11 out of 12 major suppliers have had to cut the advertised speed of some of their deals by an average 15%. BT, EE, John Lewis Broadband, Plusnet, Sky, Zen Internet, Post Office, SSE, TalkTalk and Utility Warehouse previously advertised their standard (ADSL) broadband deals as ‘up to 17Mbps’. The new advertised speed is now more than a third lower at 10Mbps or 11Mbps. TalkTalk has completely dropped advertising speed claims from most of its deals. While Vodafone has even changed the name of some of its deals: Fibre 38 and Fibre 76 are now Superfast 1 and Superfast 2. And only Virgin Media’s advertised speeds have gone up since the change. “Customers will now have a much clearer idea of the speeds that can be achieved when they are shopping around for broadband – even though their broadband won’t get any faster. Have you bought a broadband package that hasn’t lived up to the speeds advertised? Have you noticed a change in how providers are advertising speeds? Why does my broadband provider say they are not responsible for the low / non existent internet speed I have been experiencing for 2 weeks ? I have been with the same provider for 10 years and although occasionally a bit patchy all of a sudden I am told I must purchase an internet booster kit to achieve what is their lowest speed after 10 years of being in the same flat. They offer me a package at a higher speed but they can’t provide the lowest speed package suddenly. when watching afilm it’s buffing all the time. Number you are billed for calling them . And the only thing I can do is keep on paying till my contract as run out . ITALK day light Robbery . It’s my own fault for being lazy but I have checked my broadband speed on very many occasions at various times of the day and it has never been near the average speed advertised by my provider, BT. I have paid for Superfast Fibre 2 for over 18 months and the download speed has never exceeded 40 mbs so impossible to reach the average of 67 mbs they advertise. I am taking the easy way out now that my contract has expired and switching to another provider who guarantee a minimum speed or money back. I would not now recommend BT as a provider. I will be interested to know if switching ISP makes a difference because the signals will be carried on the same lines. When quoting an average, some will receive less and some more. Nevertheless, it’s good to have a free trial period without obligation and maybe all ISPs should offer this. I have had problems with my broadband speed and made several complaints. I have been informed by BT that the they only guarantee wired broadband and broadband to the hub. The IEE.802.11x which is the standard defines WFI as wireless networking that uses radio waves to provide high speed internet and network connections. So how BT can say they do not guarantee what is clearly a product that has nothing to do with the wired bit but the radio waves emanating from the Hub I don’t know. Clearly their advertising is for WiFi which is nothing to do what happens up to the hub but is everything to do with the radio signal from the hub. I had a terrible time with Talk Talk over the contract which they offered at the point of sale which was contrary to what I received. They never honoured it and their customer service managers were not much of a help. The complaint department was not helpful too. My friend who is with Talk Talk. ONLY this year her speed has fallen below 2 and is not able to watch anything! Talk Talk has become a nightmare for her I don’t wish to go into detail as it’s sickening! I am with TalkTalk. Never had so many problems with my wifi/broadband. Used to get wifi all over the house but all of a sudden I can only get wifi in the same room as the router and one bedroom. Coincidentally they keep emailing me to upgrade to Fibre! Coincidence??? I’ve got new fibre to the house and was sold a 200MB package by BT. But more often than not when I run speed tests the download speed is no more that 50MB .. not sure if someone in BT Marketing/Sales missed a memo about download speeds they can realistically offer and how much they need to be charging the customer for it..
Are you sure you were not sold an “up to 200 mbps” package [now not allowed]? 50 mbps is probably fast enough for most purposes but occasionally, and unpredictably, you might experience 200 mbps. It’s if you get >200 mbps that you would have grounds for complaint! I suggest contacting BT to find out what average speed you can expect, Rommel.